(Update) This event is complete. 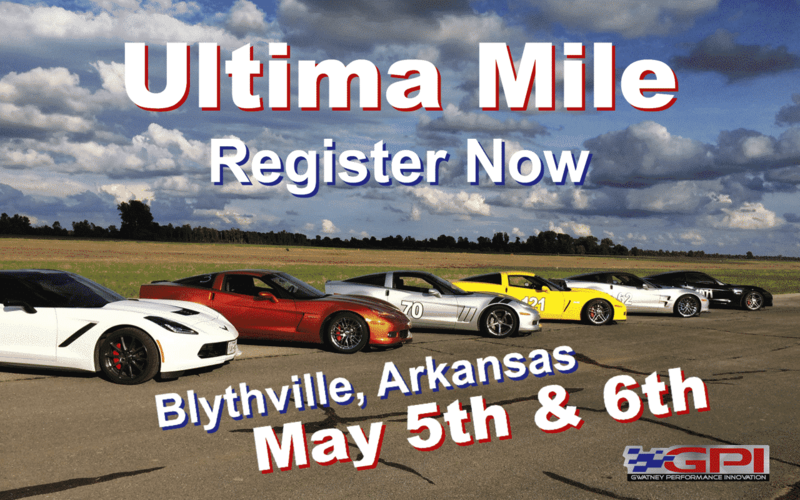 Head over to ULTIMA Mile to check schedule and register for future events! Exclusive runway event that allows you to run your car flat out for a full mile. Max 50 cars at the event, so you can run as often as you like. Heck, just come out for a good time! Ultima Mile Club updated their cover photo. Ultima Mile Club shared a post. Some cool pictures from this weekends event. Photo credit: Gwatney Performance Innovation.Here are some photos we shot this weekend. Wow, seriously fast cars! Great video! Next event is only a few weeks away! I do a few 1/8 grudge races out there a few times a year, would love to see some of you guys come out! Glad you guys enjoyed our play ground! Hope to see y’all next year!